Imagine this: you’ve already gone to the store and grabbed a digital midstream style pregnancy test. A box set with two testing wands. You’ve been waiting half the day and now you have to pee. Finally. You really have to go. Seriously. You don’t know how you’ve managed to wait this long. Maybe anticipation. Maybe you were waiting for someone else to get home. Maybe you just have a strong bladder and you were putting this off for as long as you could. Whatever the reason, you have to go. Right now. You get yourself settled in the bathroom. You open the test, begin to apply the urine, then…oh no. The test is oversaturated. It’s ruined. All of that full bladder waiting down the toilet. But wait, you have a second wand right next to the first. You manage to take another test. The wick wasn’t saturated enough. There isn’t enough for a reading. Maybe if the wick had been wider you would have had a better outcome. If only,right? 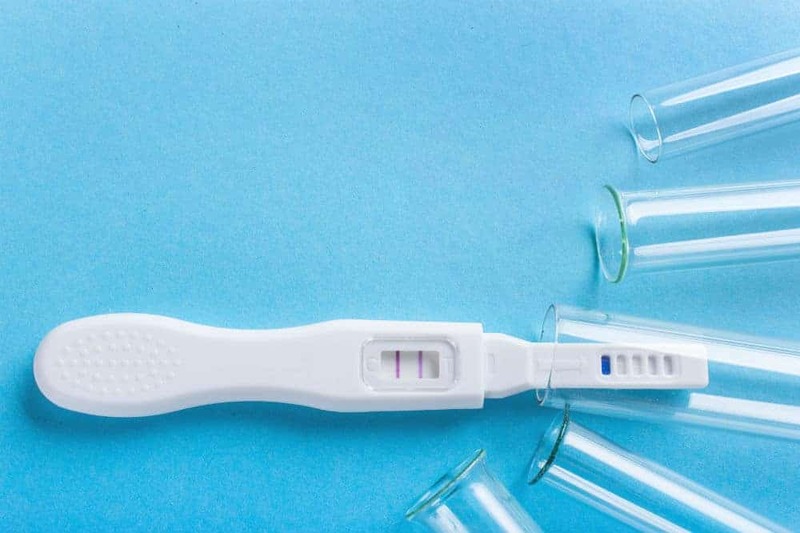 The creators behind the Clearblue Digital Pregnancy Test may have had a similar scenario in mind when they designed their product. A Floodguard to avoid oversaturation errors and a wider wick to better catch the stream give the Clearblue Digital Pregnancy Test some advantages over its competition. But how else does this product compare to other pregnancy tests? The Clearblue Digital Pregnancy Test is a good product. Clearblue observed then attacked some of the issues occurring with other midstream tests. Mainly, this included two major problems. First was the issue of oversaturation. With the Floodguard built into the design, some of that worry is taken away. That means one less thing to be worrying about while you’re sitting there in the bathroom wondering if you’re pregnant or not. The second thing was the width of the wand’s wick. By widening the wick, Clearblue made it easier for people taking the test to hit the target without the urine hitting something it shouldn’t—specifically the hand holding the test. Just to make sure you’re keeping count, that’s already two legs this product has up on the competition. That isn’t even taking into consideration the timer to let your know when your results should be ready. That isn’t taking into consideration the 99% accuracy of the results (which, by the way is identical to the percentage seen with the tests taken at the doctor’s office). On the other hopefully urine-free hand, those points also don’t take into consideration that this product is more expensive than the simple line test strips that are available. Even though each box includes two tests, it can still add up if you happen to be a compulsive pregnancy test taker. There’s no problem with that, but it can get expensive pretty fast if you are choosing to use this product. But, this is a nicer test and a digital screen telling you that you are pregnant or not is a lot easier than trying to figure out if a faint mark is a possible positive or an evaporation mark. 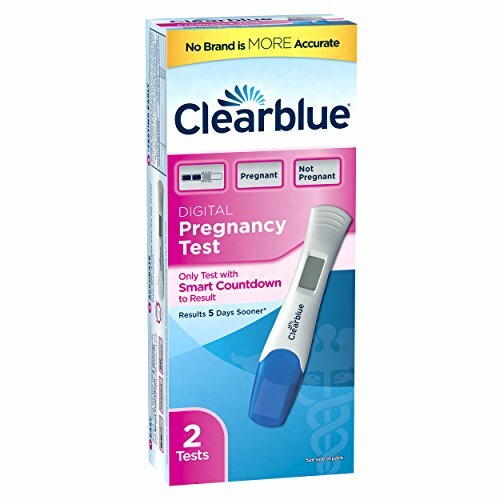 Taking all of this into consideration, the Clearblue Digital Pregnancy Test is an excellent choice for any consumer looking to purchase a digital midstream pregnancy test.